As part of the centennial commemorations of the 1913 Great Miami River Flood, Hamilton Lane libraries welcomes renowned local historian and native Hamiltonian Jim Blount for a series of free public talks detailing the impact of the flood and the challenges left in its wake. Please note, all events begin 2 pm at Hamilton Lane Library. Flood Warning! Was Hamilton Prepared for 1913 Disaster? 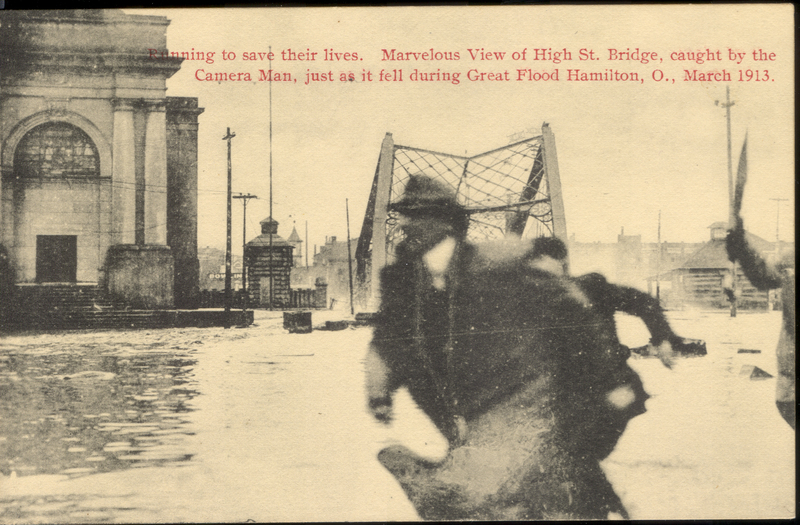 Hamilton in Crisis: Who Came to the City’s Rescue after Devastation of March 1913 Flood? Registration will be required. Call 894-7158 to register. Seating is limited. “Remember the Promises We Made in the Attic!” Obstacles to Preventing Another 1913 Flood.